Welcome back to Our Creative Corner, and many thanks to all who participated in the colour challenge. 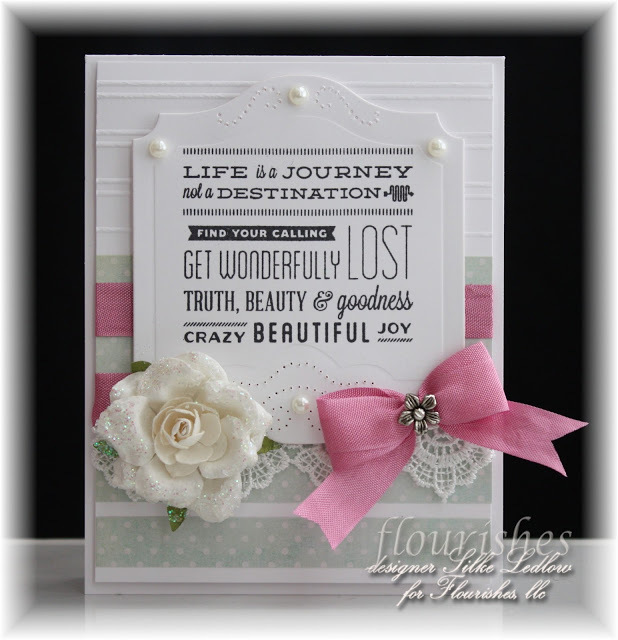 Congratulations, this is a very, beautiful card, please feel free to add our Top Talent winner's badge to your blog; you will find it on our sidebar. We will be in touch with you very soon to arrange for you to be spotlighted as our Top Talent on Our Creative Corner. It's not too late to play along with our current challenge ' Shabby Chic' here. Please make sure you link back to us when you post your submission. And don't forget to come back and check out our Top Talent Thursday tomorrow! We shall return with a new challenge on Saturday, and tons of inspiration for you. What an elegant card. Beautifully done! Congratulations Silke! The card is beautiful and your work worthy of praise.